This is an excerpt from an article in the June, 2011 edition of Attraction Magazine. "They decided to write Fundamentals of Model Boat Building after speaking with renowned decoy carver Bill Veasey, who contacted his publisher; Schiffer Publishing. Pete Schiffer met with John and Nancy and discussed the idea of a book that would not only teach the reader to build a single model, but a book that would teach the art of "scratch-building." That is, to teach the reader how to see a subject boat and to gain an understanding of how to successfully make a model of it without reliance on a kit. It was not a simple task. It took four years to write the book. "We do a lot of shows around the country and speak with many people that are, or would like to be, model makers. As we wrote the book, we tried to pay particular attention to the questions that would come up regularly, such as 'how do you conceptualize a model? ', 'what woods do you use? ', 'where do you get your plans? ', 'how do you learn to make hardware?' These questions are important and we answered them as we wrote." Model making does not involve any single skill. 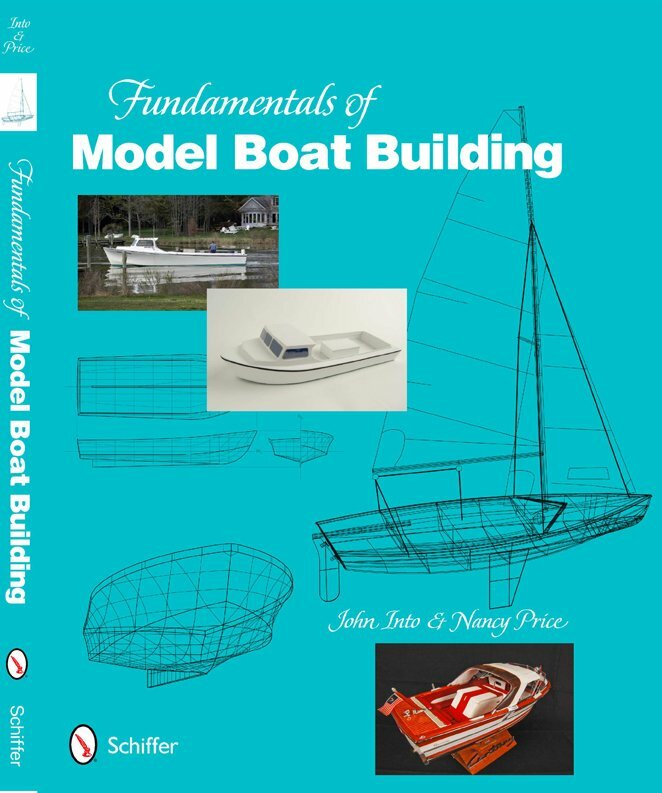 Fundamentals of Model Boat Building explains how to recognize different types of boats and their characteristics. It covers techniques, including specialized measurement techniques, carving, working with line drawings, creating drawings, and all facets of making a model. It also teaches concepts about boat design, different types of model construction and much more. The Annie Buck, a local Chesapeake Deadrise, is used as an example in the book. By learning what a boat must do within the conditions it faces, the reader can begin to understand its design based upon common sense. From there, the reader is taken all of the way through making a basic model of the Annie Buck. 34.99 each + 4.95 for shipping and handling within the U.S. If you've already read "Fundamentals..." and would like to give us your opinion, please email us at the address below. We are strong supporters of "Buying Local". In fact, it can be purchased at, or ordered through, fine bookstores throughout the entire world!. You can find one here. All Model Designs and Photographs on this website are Copyright 1998-2011 by John Into or Schiffer Publishing. All rights reserved.